with further research by myself. There were two "female bushrangers" in Australia, Mary Ann, wife & chief lieutenant of Frederick Wordsworth Ward and "Black Mary", companion of Michael Howe notorious bushranger in Tasmania in the early 1800's. While much is made of, and written about, the partners of the other bushrangers - little is recorded on the life of our female bushrangers. In the case of Mary Ann, she is responsible for Fred Ward being at large for so long.She was a clever and talented individual, spirited, perhaps a bit of a larrickin, a mother and a loyal partner. The sort of person that colonial Australia of the1860s needed, and possibly ahead of her time. She was criticized for her willing involvement with one of Australia's most “notorious villains” but she is not the first or last woman who may be 'guilty' of letting her heart rule her head. At least with Ward she was given the opportunity to show her spirit and determination at a time when most women were subjugated to a life of raising kids and crops. Her distinct femininity and her Aboriginal heritage were probably the reason for Fred's dislike of using firearms. She certainly taught him to read and write, and her skills developed as part of her aboriginality served them both well in their life in the bush. The blending of Aboriginal and European features in Mary Ann created a remarkable beauty, which was commented on many times in her career. "Mrs Captain Thunderbolt," wife of NSW's last "professional" bushranger was the wildest colonial girl of the 1860's. Her husband's six and a half year "career", the longest of any bushranger in Australia, was due to her assistance. Without her there would have been no Thunderbolt, for it was her devotion and support that made Thunderbolt so successful. Mary Ann Ward or Mrs Thunderbolt had four children while being pursued by police and citizen possies. Twice she was imprisoned and twice the Governor of NSW, Sir John Young, ordered her release for wrongful imprisonment. On the second time she was accused of possessing stolen material from a store in West Maitland 400 meters from the Court House, yet the authorities did not bother to check her story so she was convicted and gaoled. It was only when a visiting magistrate bothered to check her story that the truth was found and she was ordered to be released. Mary Ann Bugg was born near Gloucester/Stroud in New South Wales on May 7th, 1834. Her father was a shepherd named James Brigg (who by the time of Mary Ann's birth had changed his name to Bugg). He was born in Essex in England in 1801 and on 18 July 1825 was transported for life for stealing meat. He arrived in Sydney on the ship "SOSTRIS" on 26 March 1826, and on 15 January 1828 was assigned to the Australian Agricultural Company as Overseer of Shepherds. He was successful in his duties and in 1834 was granted a Ticket of Leave. This meant he was technically a free man who could own property but could not leave the Colony. He took up with an Aboriginal woman, (whom he later called Elizabeth) who had saved his life when he was attacked by a local Aboriginal group (The area at Stroud was once occupied by the Gringgai clan (Mary Ann's tribe) of the Wanaruah Aboriginal people. 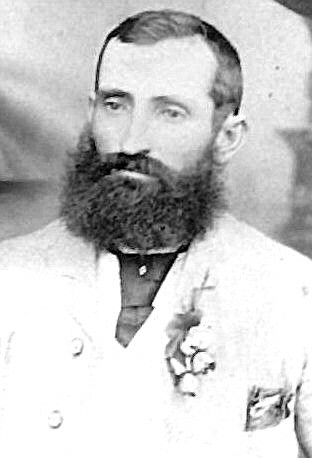 It is known that the Wanaruah had trade and ceremonial links with the Kamilaroi people from the Gunnedah area) and from this union was born Mary Ann on the 7th May, 1834 and a brother named John born on February 5th, 1836. The children were baptised in the Church of England religion in 1839 & they were sent to a boarding school in Sydney in 1839 by the Australian Agricultural Company when Mary Ann was nearly six years old, where she remained until 1846. Mary Ann learnt to read and write, sew, cook and other domestic skills as well as love of music and poetry. She had probably also been taught bushcraft and other Aboriginal skills by her mother during her early days in Stroud. In 1837 a third child Eliza was born, however soon after her birth they were forced to separate by the AACo & Eliza was reared by her Aboriginal family. James subsequently took up with another part Aboriginal woman, Charlotte Derby, with whom he had a further 6 children. He married Charlotte in 1848 after their fifth child was born. The difference in the treatment of the first two children, to the remaining children, confirms the fact that there were two different partners to their father, James Bugg, despite the naming of all the children in Charlotte's death certificate. All the children of Charlotte were christened in the Presbyterian Church, which is a final proof of the two different mothers.The naming of all the children on the second mothers death certificate often happened on death certificates of the time, where all the children of both marriages were considered brothers & sisters, especially with Aboriginal parenting. In her early teens Mary Ann worked as a domestic in the Stroud area where she was made to marry, Edmund Baker, a worker with her fathers company. She married him on June 1, 1848 at the age of 14, (and in common with many girls of the period). Edmund Baker took up employment at "Cooyal" Station just north-east of Mudgee, which at that time, was owned by the Garbutt family. Mrs Sarah Ann Garbutt was Frederick Ward's mother and during his visits to his mothers home he met Mary Ann. As they were of similar age they obviously formed an attachment towards each other. How far such attraction may have developed is not known, for in 1856 Ward and Garbutt were sentenced to Cockatoo Island prison for ten years for receiving stolen horses. They served only four years and were released on Tickets of Leave, returning to the Cooyal Station in July 1860. 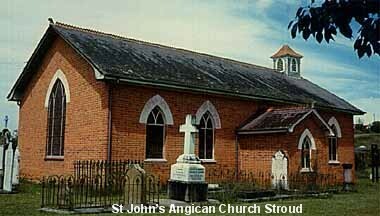 While Ward had been in gaol, or soon after Fred had returned to Cooyal Station, it appears that Baker had died, Mary Ann left and moved back to Stroud where she obtained work in the local Anglican boarding school near the Church of England Church. 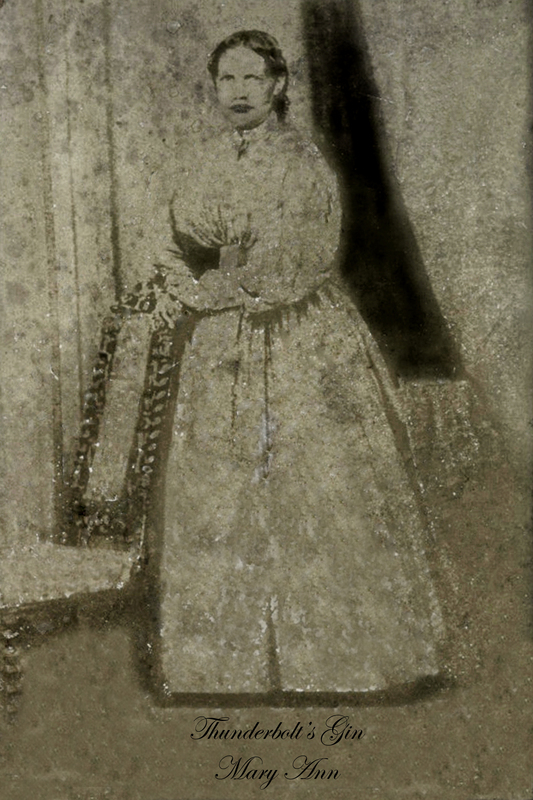 Fred Ward soon followed her to Stroud and obtained employment on a local property. He had to return to Mudgee once a month for muster and would borrow a horse from his employer for the trip. wedding day (Daily Telegraph April 1, 2002). By late 1860 Fred and Mary Ann married in the Church of England Church at Stroud where the children at the school were given time off to watch the wedding. In an article in “The Days That Were” Mrs Dreamer wrote “It was in Stroud & I was going to school at the time. Frederick Ward, that was Thunderbolt’s name, was a nice looking young fellow, and the girl he married was Mary Bugg, daughter of Mr Jimmy Bugg who looked after the Pastoral Company’s station at Port Stephens. There was a great to-do at the church the day the wedding was on, and we were all let out of school to see them come out of the church” ….. although no Marriage Certificate has ever been found as yet , however I believe the certificate may be found in St Andrew’s Archives in Sydney. This was not unusual at the time as the Parish belonged to the Australian Agricultural Company and the minister was a travelling minister. Many events, which took place have subsequently been found to have not been registered. Fred Ward had to attend regular muster at Mudgee Police Station. In October 1861 Ward borrowed a horse from his employer & returned to Mudgee to attend muster. When he arrived he was arrested again for arriving late for muster, where he had been assigned, and for being in possession of a horse for which he could not prove ownership. He was returned to Cockatoo Island to serve the rest of his sentence plus another four years for the second crime of stealing the horse. Two weeks later Mary Ann gave birth to their first child, a girl named Marina Emily Ward. As a strong family man you can imagine how upset he must have felt at the injustice of the system. The next few months are somewhat of a mystery, however, our family tradition states Mary Ann placed her child in care, as soon as Marina was weaned, and then moved to Balmain (near Cockatoo Island) where she found employment as a housemaid under the name Louisa Mason. Family tradition says that she frequently swam or went to the island with food for Ward and a file so he could cut through the chains of his companion Fred Britten. This was made more difficult by the custom of the jailers of disposal of the offal in the waters around the island to encourage the presence of sharks. The facts are that on 11 September 1863 Fred Ward and another prisoner named Fred Britten escaped by swimming to Balmain and it is believed Mary Ann assisted in this escape swimming with them and protecting them from the sharks. Mary Ann hid the two Freds in a disused boiler in the Balmain Industrial area while waiting for the police to stop searching. The police were slow to admit of their escape as no one had ever escaped from Cockatoo Island before. After being hidden for several days until the police search ceased, the men raided a clothes line in the area taking the only sets of clothing they found, (one male & 1 female) moved north via Windsor, to be followed a few weeks later by Mary Ann after she had given the required notice from her place of employment at Balmain. The two men were reported at Singleton in November and shortly afterwards robbed a hut on Gostwick Station near Uralla, stealing a firearm and food. On attempting to hold up a coach just south of Uralla Fred Ward was shot in the left leg. After this event both men parted company with Britten going to Victoria. Ward returned to the Hunter region to meet up with Mary Ann. There he held-up the Rutherford tollbar and thus began the "time of the bushranger Captain Thunderbolt". For the next 6 years Mary Ann was Wards principle accomplice in an exciting, furtive and dangerous life. Her brushes with the law were frequent in a nomadic existence spanning a vast triangle of NSW from the Hunter Valley to Bourke and the Queensland boarder. Often Mary Ann was a decoy and "bush telegraph," dressing in men's clothing and riding her horse like a man. When she was arrested by a police posse near Narran Lake she attacked one trooper, ripped his shirt to pieces and threatened "Fred's vengeance". The police were forced to leave Mary Ann at a nearby station when she feigned pregnancy. Thunderbolt promptly raided the property, taking both his wife and supplies. Often civilian and police possies came on Mary Ann carrying her babies in wicker baskets on pack horses. The oldest child Marina Emily was riding a small pony and was already judged to be an excellent rider. Despite having two children (and a third in March 1866) all evidence indicates that Mary Ann accompanied Ward and the gang on some of its depredations although she was never armed. She also seems to have been very adept at finding food and shelter for the gang in the mountainous terrain, in which they concentrated most of their activities, including catching and butchering stolen cattle. Despite her circumstances, including being on the run and hiding from the police, she endeavoured to spend as much time as she could with her children. This was to get her into trouble. Twice she was arrested and twice politicians, including Rev Dr Lang, a Mr Buchanan and Mr Holtchpolice in NSW parliament claimed criminal victimisation. Several people petitioned the Governor of NSW, Sir John Young, and he ordered her release for wrongful imprisonment. It was also claimed the Vagrancy act excluded people of Aboriginal descent. NSW Attorney-General James Martin gave an opinion, which has stood the test of time and is still quoted in law texts today. Her Aboriginal heritage was not a valid objection but the conviction was improperly drawn up and was defective. Mary Ann was released on the Governor's orders amid a great furore. On a third occasion charged with vagrancy and for receiving stolen goods - a bolt of cloth - she was released when the shopkeeper came forward with her receipt for the goods. She could disable a beast while chasing it on her horse by cutting the tendon in its back leg with a knife attached to a long pole. She also seems adapt at going into townships undetected to obtain supplies or information about police and coach movements as well as the latest gossip. Several reports show her looking like a young man wearing knee-length, Wellington boots, moleskin trousers, Crimean shirt, monkey jacket and a cabbage tree hat, the dress of the flash stockmen of the day (and at a time when women didn't wear men's clothing). She was obviously a very intelligent and smart woman. She was also reported as being very attractive. Although a half-caste she was only slightly darker of complexion than most countrywomen and had European looks rather than Aboriginal. Her weakness was that she fell in love with the "wrong man" but even there, she was proud of her association with Ward. On several occasions she referred to herself as the "Captain's Lady" and held her head high whenever she said so. Also, she was totally loyal to Ward. Her extraordinary hearing saved Thunderbolt many times. She would place her ear to the ground to receive warning of approaching horses. One day two bounty hunters hoping to receive the reward for capturing Thunderbolt rode into his camp at Manilla. Thunderbolt was saddling his horse out of site when Mary Ann announced the presence of the strangers with a booming greeting. Half dressed with only one boot on Thunderbolt fled on his horse. Several times Mary Ann put herself in the line of fire to save Thunderbolt. Despite her circumstances, including being on the run and hiding from the police, she endeavoured to spend as much time as she could with her children. This was to get her into trouble and she was arrested on three occasions and charged with vagrancy and receiving stolen goods. On one occasion Ward rescued her from a station where she was being held, while on another she served three months of a prison sentence before outcry in Parliament saw her released. Mary Ann, daughter of James Bugg, and his wife Elizabeth, died of pneumonia on the Goulburn River west of Muswellbrook on 11 November 1867 soon after being taken to the house of a Mrs. Bradford. Mrs. Bradford had been approached by a grieving Ward who said the woman was to be found in a gunyah near by. The woman was dying and he asked if Mrs. Bradford could care for her or, if not, report the circumstances to the police. Mrs. Bradford subsequently found the woman and took her to her house but she died overnight. From birth records (BDM V1868 1400 161) she had a fourth child not long before her death, as a son Frederick Wordsworth Ward was registered in the "Tamworth Circuit" after her death in early 1868 to Frederick & Mary Ann Ward. This birth may have contributed to her death. Many authors such as Andrew Stackpool claim that as with much of her life there is controversy about her death. They claim this has resulted from the discovery of two death certificates. According to the first account while she was in gaol Ward, who is known to have had affairs with other women, finally abandoned her and took off with another half caste called Louisa Mason, or "Yellow Long"/Yellilong. Mary Ann was so distraught at his treachery that she actively helped the police in their attempts at running him to earth before leaving the area and marrying a man named John Burrows at Cooyal near Mudgee. She had previously been married to a man named Patrick McNally who lived near Stroud. She had married Burrows around 1861 and died on 02 April 1905, aged 70 years. At the time she had three children from her marriage to McNally and ten to her marriage to Burrows. There are many coincidences here with Mary Ann Bugg and many historians are convinced this woman and the Captain's Lady are one and the same. Mary Anne Burrows, a lady born in The Bay of Islands, New Zealand in 1836, 2 years after the birth of our Mary Ann. The death certificate of Mary Anne Burrows also clearly shows that this Mary Anne was married twice, - in 1850 to Patrick McNally, coincidently in Stroud, and around 1858 to John Burrows in Cooyal near Mudgee . It also shows her occupation as being a nurse. Her death certificate clearly shows she had 3 children to Patrick McNally at the same time as Mary Ann Bugg was married to Baker & could not possibly have married John Burrows. Her death certificate also shows that this Mary Anne Burrow's occupation was a Nurse, an occupation at no time attributed to Mary Ann Bugg, Thunderbolt's wife. Further the birth certificate of George Herbert Burrows on Sept 5th, 1876, (1876-15712) son of Mary Anne and John Burrows clearly shows his mothers maiden name was Mary Anne Burgess not Mary Ann Bugg. This is clearly not our Mary Ann Bugg even though her death certificate shows, mistakenly, the parents to be James Brigg & Charlotte (surname unknown). On doing further research on John Burrows and Patrick McNally's wedding in the NSW BDM records 1788 to 1888 one can find that there is no record of a marriage of anyone by the name of Patrick McNally during those years. When trying John Burrows there were 12 marriages between 1788 & 1888, however, only one was to a Mary A. This marriage occurred in 1849 & is recorded as being between John Burrows & Mary A Terrant or Tarrant and occurred in the C of E Australian Agricultural Company Parish of Dungog/Stroud & the reference is V1849632-34C . Yet Mary Anne Burrows had her first child to John Burrows in1858. This throws an entirely different light on the death certificate for Mary Anne Burrows as it makes many of the details on the death certificate in fact incorrect. Mary Anne Burrows death certificate shows her age on marriage to John Burrows as being 44, however she was only 22 when her first child to Burrows was born having been married in Cooyal near Mudgee. It then goes on to show her having 10 children to Burrows aged from 47 down. She also could have had Patrick McNally as a partner at 16 years old, as her death certificate shows her having 3 children to Patrick. Such mistakes often happened on death certificate as children record, as fact, stories and information they had been told, even though it was incorrect.There is no record of a marriage to Patrick McNally which, however, proves nothing as the clergy for the AAC often seems to have failed to record marriages in the state BDM records. This was also found when they failed to add Mary Ann & Fred Ward's wedding to the state records. Soon afterwards, the newspapers were reporting that Louisa Mason, alias Yellow Long, had died of pneumonia, this of course was Mary Ann Ward who, knowing she was dying, had left her children after disappearing, and rejoined Ward for a last few days, weeks or months in the bush? This was the name Mary Ann had used during the time she was in Balmain helping to prepare for Ward's escape from Cockatoo Island. She is believed to have used other aliases from time to time and was also been known as Yellow Long (Yellilong) in the local aboriginal communities where she and Fred lived from time to time. According to local Gunnedah elders Fred was even inducted into the local tribe & was considered a "blood brother". Whatever the truth, with her passing Australia's colonial history lost another extraordinary person. She was a clever and talented individual, spirited, perhaps a bit of a larrikin, a mother and a loyal partner. The sort of person that colonial Australia of the 1860s needed, and possibly ahead of her time. She may be criticised for her willing involvement with one of Australia's most notorious villains but she is not the first or last woman who may be 'guilty' of letting her heart rule her head. At least with Ward she was given the opportunity to show her spirit and determination at a time when most women were subjugated to a life of raising kids and crops. To quote Patrick White, "it is questionable if ever a bushranger had a mate more serviceable or devoted." Let us remember her for the free spirit she was, the many fine qualities she displayed, and the hope that her life was happy and her death quick and painless. Let us also hope that her descendants remain true to her memory. Adapted in part, with permission, and with several important corrections, from an article written in 1998 by Andrew Stackpool. For further information on Mary Ann Bugg see Kali Bierens book, " The Captain's Lady: Mary Ann Bugg"